I wasn't entirely sure what this book was about when it was initially offered to me. The title sounded okay, but again, wasn't totally sure. The book surprised me, in a good way, and I ended up really enjoying it. Though there was a few pages on demons that I was unfamiliar with and also hadn't really seen mentioned in many other books that caught me off guard. Truly Free is about making sure that you are breaking free from the snares in your life that keep you from fully devoting yourself to God and your faith. The contents loosely follow what most people would call the Seven Deadly Sins which I found appropriate, though it does have a few extra that work well with the flow of the book. While I hadn't really heard of Robert Morris previously, I was aware of his church which is a short drive from my hometown in North Texas. It's a large, megachurch that I have many friends who attend and love. Since he's a Texan, I enjoyed his little anecdotes on just Texan life and how it applies with faith. 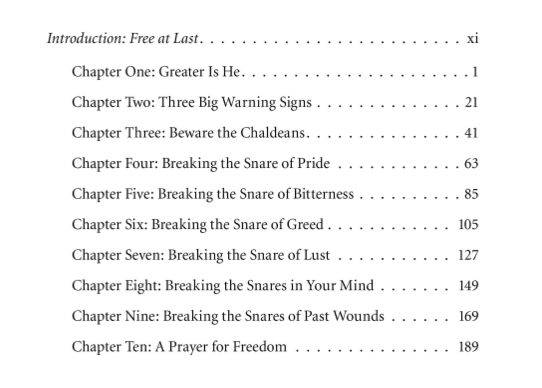 I fully believe if one specific "snare" is catching you up, you could open this book and read that chapter for guidance, though the entire book is well worth the read as well! 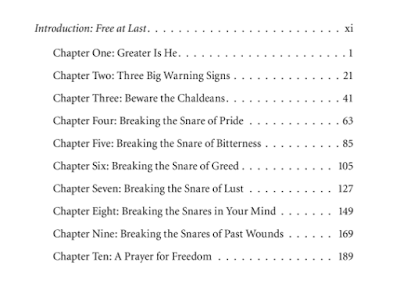 See below for a screenshot of the chapters. The end of the book has additional helpful information that would be appropriate for a new believer, but might also be beneficial for a long time believer. A section called "Making Sure You're Born Again." I can see how this might apply to someone who has gone to church forever and just assumes they are born again but maybe isn't sure. There is also a few pages on further reading that might be helpful in conjunction with this book. I received this book free from BookLook Bloggers in exchange for my honest opinion. 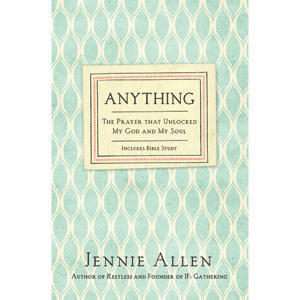 Living in Austin and following Christian bloggers and authors in Instagram, Jennie Allen's name is bound to come up in conversation somewhere. She is the founder of IF: Gathering and the author of both Anything and Restless. But we seize more of God when he seizes us through our broken dreams. This took me some time to digest. God puts what we see as roadblocks in our way to strengthen us and build us up for something even better. 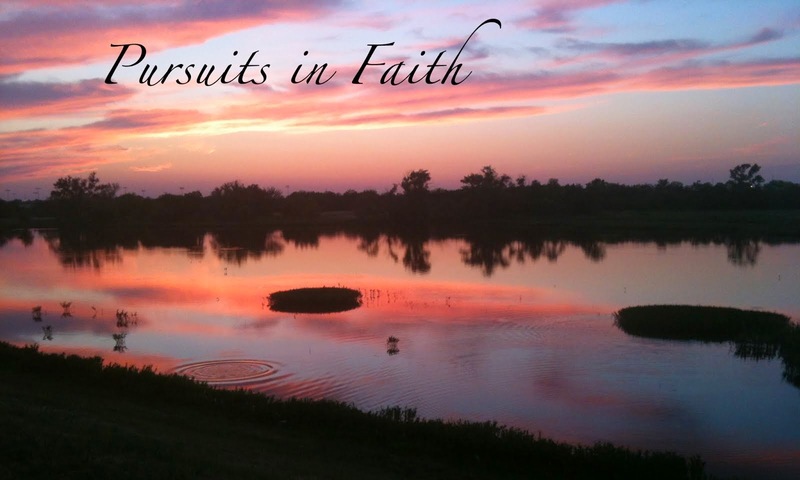 We just need to keep our faith and if we are willing, be ready for whatever he wants to use our lives for in his glory. I wanted to be right with God at the end of my life rather than right with all the people in it. So many of us live our lives in a "well, this person will think less of me if I do this," or whatever other thought processes that keeps us from giving our all to God. We thrive on hearing good things from those around us, but how many of us really and truly ache to hear a message from God based on how we are living for Him? I feel like not many. We may say we want to hear a message from Him, but are we really listening? Nothing mattered more to Jesus before he did than God showing himself through him and through us. This book has made me want to relish my time on Earth and live in such a way that without even knowing me, others know my love of God. I want to live each day for his glory. Dang it Jennie Allen! Bible study additional information available through Faith Gateway. I received this book from BookLook Bloggers in exchange for my honest opinion. Meditation is not something that was entirely familiar to me a few years ago. I'm not sure how I came across it and started trying it out at random times, but I feel sure that it was due to Rebekah Borucki, aka BexLife, on YouTube or one of Deepak Chopra's free meditation series. It does seem to be one of those things, like yoga, that everyone is starting to do. And yes, it can go hand in hand with yoga quite well, but can stand alone amazingly. Anyone can do yoga. And if you think your brain won't shut up enough to do meditation, I can promise you, after some time, you can. I have, what my doctors have said, an unusual though pattern in my mind. I can hold a conversation, watch something, have thoughts, and usually song lyrics, and pay attention to all of it easily. My mind is multi-wired somehow, and I have no idea how I accomplish anything! (I'm currently listening to an audiobook and typing this up). I've been reading books that focus on meditation and I've learned a lot. I've also downloaded several podcasts to listen to and listen to Guided Meditations on YouTube. I feel like they have helped calm me down. It helps me figure out (slowly) how to get my brain to shut up a bit which in turn is helping other areas of my life. Pema Chodron How to Meditate: A Practical Guide to Making Friends With Your Mind is a great one that I see recommended often and I feel like I learned a lot from to take into my meditation practice. Probably different for most people that practice meditation, is about half of the time, my meditation turns into prayer. 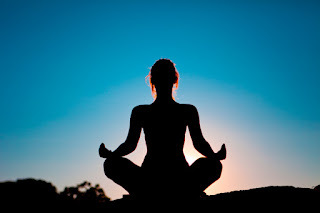 The Bible mentions meditation several times, though it may not mean the same as the Buddhist interpretation of meditation. I've been using it to focus on a Biblical word, verse, or thought, and it has become my way of praying and calming my brain, and the verse above is definitely one that pops up often. The Church has been a rather finicky topic for so many of us in the last few decades. As children, we grow up with church being required due to our parents making us attend. We went to Sunday School, Sunday service, some of us Sunday nights, and Wednesday evenings for youth group or Wednesday service (depending on your denomination). I consistently hear from family, friends, and acquaintances that they simply "I believe in God, just not organized religion or going to church." 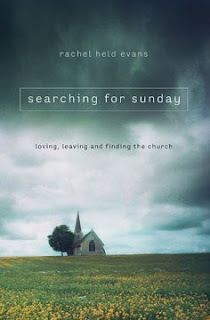 I think Rachel Held Evans brings across points that are quite common to many of us with the Church. There are so many churches that have turned church into a rock concert, or just churches that want everyone to appear perfect. I think too that a lot of us, myself included, are simply afraid of the criticism of going to a church regularly, having our secrets splayed out for the world (ummm, the congregation) to see, and fear being judged for it. It always feels like being in church means you should already be perfect and not have any sins on display to cause harsh criticism. Which is why I found Rachel's chapter, Dirty Laundry, amazing. I finished Brennan Manning's classic book "The Ragamuffin Gospel" a few days ago and this fell right in line. In her book, she mentions how more people feel the way we SHOULD feel in church, in AA. Why? Everyone freely admits that they are a sinner and have messed up. Specifically, "So why do our churches feel more like country clubs than AA?" People in AA confess their sins, ask for help, and show fear. All things that seem not allowable in most churches unless you are Catholic and sitting in a confessional. Later on in this same chapter, she says "The truth is, we think church is for people living in the "after" picture. We think church is for taking spiritual Instagrams and putting on our best performances. We think church is for the healthy, even though Jesus told us time and again he came to minister to the sick. We think church is for the good people, not resurrected people. ...So we fake it." And I personally feel like this chapter, this is a big part of what is pulling people away from church and away from Christ. This idea that in order to be a part of fellowship, we must be the after picture. For me personally, as a single Mother, who is part Caucasian, part Native American, Spaniard, and Mexican, I feel like I don't have a place. Most churches that align with the doctrine I was brought up believing, are predominantly white. I don't speak Spanish so even though I look more like those individuals, I don't fit in because of the language barrier. This book is a modern day Ragamuffin Gospel to me. There were so many times I found myself shaking my head in agreement, taking some kind of note on something, or understood or agreed with personally. I saw a few other reviewers on Amazon state that they didn't agree with it and hated the book. I also noticed that these individuals tended to appear older than I think the under 45 demographic this book seems to be targeted towards. If you've grown up never doubting, and always feeling like you absolutely had your place in the church, then this book may not be for you. But if you've found yourself on the verge of an anxiety attack just by the idea of walking in the sanctuary, or shaking your head in disagreement by the way minorities (persons of color, LGBTQ, females, et cetera) are treated in the church, then this is the book for you. I selected this book to review from BookLook Bloggers in exchange for my honest opinion. Tim Timberlake grew up as a pastor's kid (both of his parents!) He went to church regularly, and also had his mess up period like most of us do but it seems few authors are as willing to admit it as Tim. As an adult, he is now a pastor at his own church and wrote this book, Abandon: Laying Aside Your Plan for God's Purpose. In it, Tim takes you through three phases of learning to let go and let God take control. The Phases are The Choice, The Challenge, The Change. Each phase has a couple of subsections as well. My favorite thing about this book is just how insanely relatable Tim's writing and experiences are! It felt like having a conversation from a friend, mentor, or teacher, and not just an author trying to explain his point or sell you on something. Overall, he's reminding us that, as much as we fight for complete control over our lives, experiences, and faith, it's not always up to us and we need to learn to "abandon" ourselves to God's loving mercy. We need to remember that God has a plan for each of us if we just listen. I really enjoyed it, and realized that, unlike other books I've read that discuss this topic, it was very gender neutral so could easily be given to anyone struggling with direction in their life. I received this book from bookfun.org in exchange for my honest opinion. I was offered this selection from BookLook and thought, I'll give it a chance. I tried to read it. I read the introduction sections, and read a few days worth of devotionals but I just couldn't get into it. I tried! Here is the cover. The book was just a little too all over the place, and a bit weird. It's meant to be read as a devotional which I did read a few days worth. Just not for me I guess. I received this book in exchange for my honest opinion from BookLook bloggers. I've read one of Shauna Niequist's previous books, Bread and Wine, as part of the Bloom book club and it was a great book. 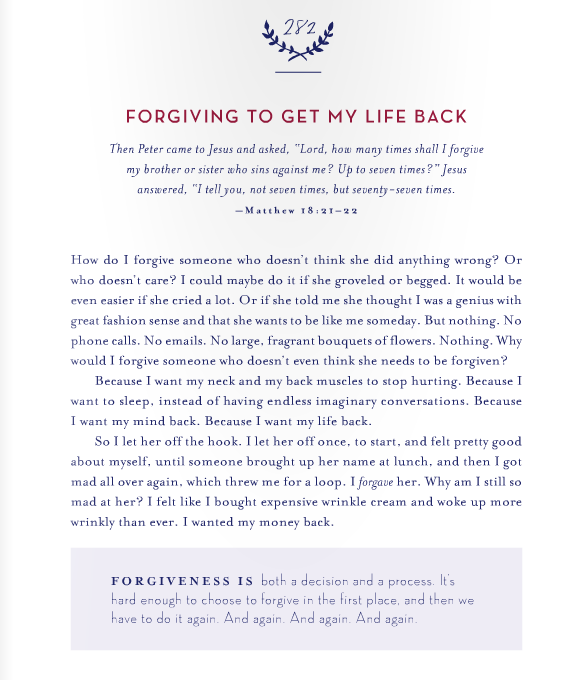 I'm not always a huge fan of devotionals though so I was somewhat wary of reading this one. 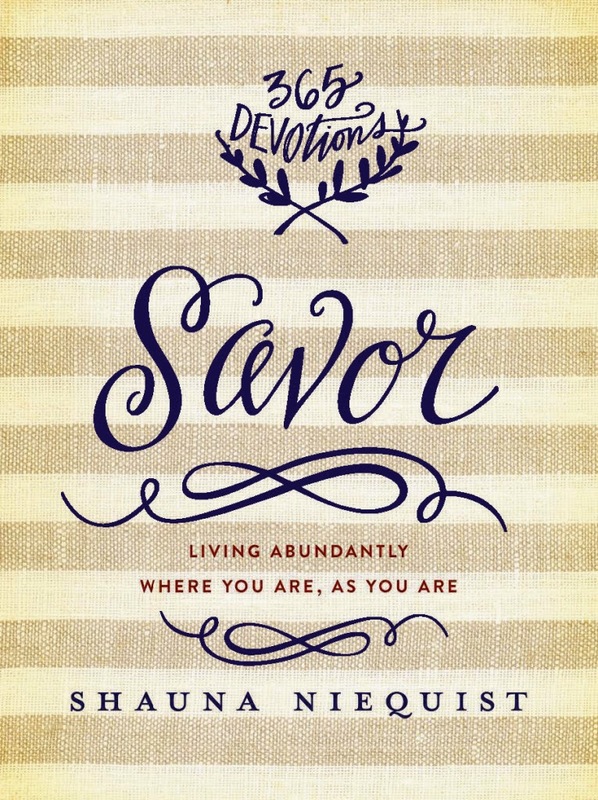 I kept seeing this book, Savor: LIving Abundantly Where You Are, As You Are, pop up in my social media feeds, Instagram and Twitter, via some of my favorite Christian authors, so, after much hesitation, I signed up to review this one. It's perfect. 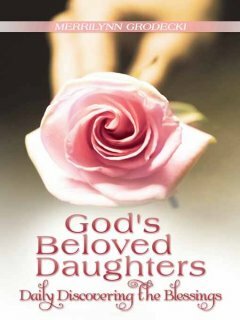 The devotionals are short and sweet, not requiring that you go to your Bible to read verses or passages. (Which is something that bugs me about some other devotionals since I tend to read books and my Bible on my Kindle). Each day start with a bold word, a Bible verse that reflects that word, then a short passage, and a reflection question/task. Every few days, there is a recipe included. It's great, honestly. 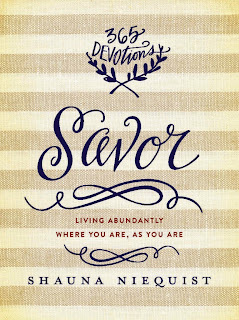 If you like devotionals, if you have ever read one of Shauna's books, and if you like to cook, it's seriously perfect.